Recently I get a chance to work on a project in which requirement was to select different different types of data templates based on the data. I faced bit difficulty, but afterwards I was manage to get it work. 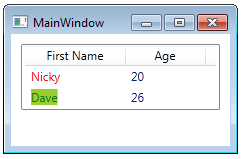 Let's have a look at the scenario first: Inside a WPF ListView, there are two GridViewColumns for storing Name and Age. Now requirement is to highlight the name of the person based on certain age criteria. If age is below 25, then name should be highlighted as red else it should be in green color, with desired background. I know there are ways to implement this using the concept of triggers, but I personally refrain from using triggers due to performance fall back. 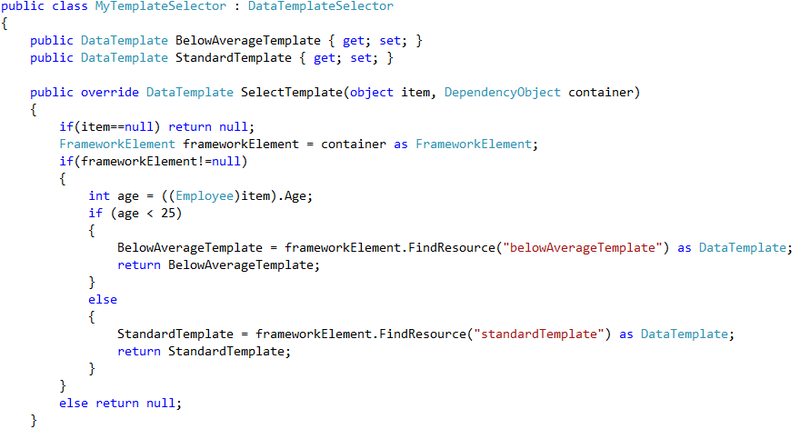 The option left was dynamically selecting data templates. In this post I am going to write about the simplest approach and later on I'll do the same thing using Dictionary. Well, let's begin with our code. 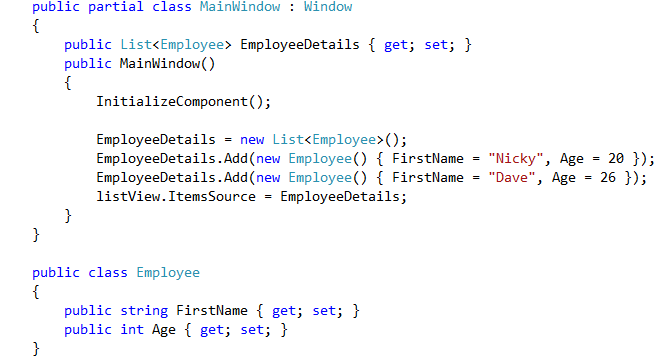 All the above thing can be done by inheriting MarkupExtension class also. I covered that in my next post here.